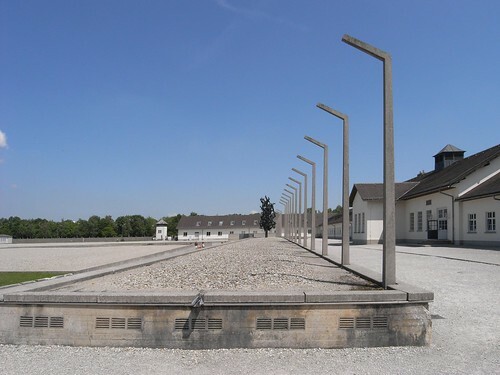 Hanging Posts, Dachau, originally uploaded by Eric Jeschke. Posts used to torture prisoners in the front of the main assembly area, usually for camp offenses. Prisoners were often hanged up by their arms tied behind their backs.